Discount Cannabis Seeds are pleased to announce the latest USA additions to the Dutch Passion cannabis seed collection. These new cannabis strains have all been hugely popular in the USA where some highly skilled large-scale breeding and professional selection has produced some exceptional results. Dutch Passion have an established USA network which allows them to cherry pick the best genetics so you can expect more extra-large harvests with THC rich buds. 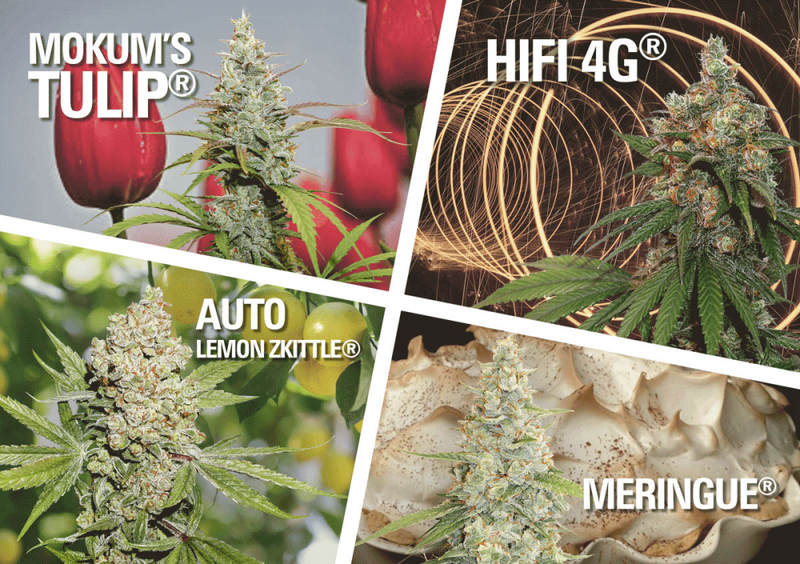 The cream of the USA’s cannabis genetics is now available to European collectors with three new Feminised and one new Autoflowering cannabis seed varieties. Dutch Passion's Mokum’s Tulip Feminised cannabis seeds are a Gelato-based variety which has a sweet candy scent like a Dutch Tulip. She is very strong with mind-numbing effects achieved by crossing selected Gelato and Sherbet genetics. Dutch Passion’s North American network have supplied a real high fidelity offering with HiFi 4G Feminised cannabis seeds. Dutch Passion’s Meringue Feminised cannabis seeds are created from Wedding Cake and Animal Cookies and are aimed at cannabis enthusiasts with a sweet tooth. Dutch Passion’s Auto Lemon Zkittle Feminised cannabis seeds are a home growers delight, growing quickly and easily with a tall central bloom surrounded by slightly smaller blooms, hard dense buds and the all-conquering smoke quality. These Dutch Passion cannabis strains are available with a Buy 1 Get 1 FREE Offer from Discount Cannabis Seeds.